An interview with the actor Peter Brombacher about the art of acting and the importance of the ensemble in German-language theatre. Mr Brombacher, you are now in the 54th season of your life as an actor. In nearly all of them you had permanent engagements as a member of the ensemble of a theatre. What for you is the special quality of ensemble theatre in its almost unique form in the German-speaking world? Peter Brombacher | © Sima Dehgani There’s a certain amount of experience in successful and failed theatre work that has been done together. Where you have together suffered great defeats or celebrated great victories, everyone in the ensemble stores that up. This fosters trust; each individual enters into the joint work with greater strength and may dare more than if he or she is standing there alone as a guest. Could an ensemble be called a family, or is this a completely false picture? There are certainly mechanisms like those in a family – who’s mommy’s or daddy’s favourite? There are jealousies, and when someone stands out the family may say “And what about us? We’ve done all the work and now he’s cashing in”. As long as an intendant can juggle all this, he’s a success, but if it goes awry there’s hell to pay. Keeping the balance, I think, is difficult. Do you feel more attached to a theatre or to an intendant or director? I’ve always liked working steadily with a theatre, with the people I know, in an ensemble. But whenever an intendant left or had to leave, I’ve always gone with him. My wife and children have had to move house with me again and again. How have methods of performance changed since you’ve been in theatre? 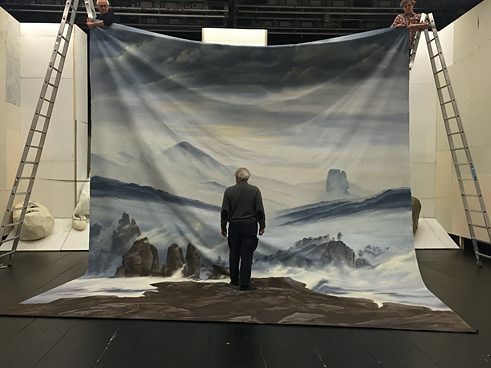 When I began at the Bochum Schauspielhaus there were still actors like Claus Clausen, who had played in Nazi films and represented a certain assertion of heroism and language. Later there were opposing movements – for example, thanks to Peter Zadek, who worked with the actor Ulrich Wildgruber, of whom it was said it couldn’t speak at all. In 1974 Wildgruber was twenty-eight-years-old and played Lear under Zadek’s direction. The performance took place in a cinema because Zadek wanted to avoid making excessive demands on the Bochum subscription audience in the city theatre itself. Anyone who thought language should sound the way Claus Clausen spoke it almost fainted away or refused to go anywhere near the performance. But a few people attended. With Wildgruber, Zadek was able to undermine the language and in this way emphasize other aspects of theatre. 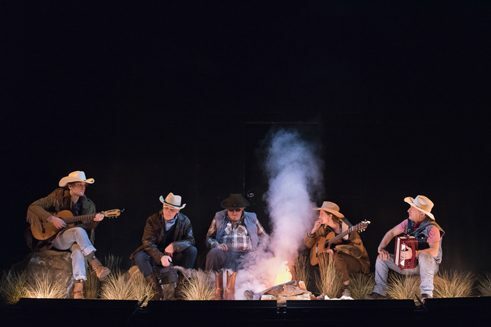 „Caspar Western Friedrich“ by Philippe Quesne at Münchner Kammerspiele, f.l.t.r. : Franz Rogowski, Johan Leysen, Peter Brombacher, Julia Riedler, Stefan Merki | © Martin Argyroglo There were also mannerisms of speech that crept in and represented a kind of status, especially when they were celebrated by critics. 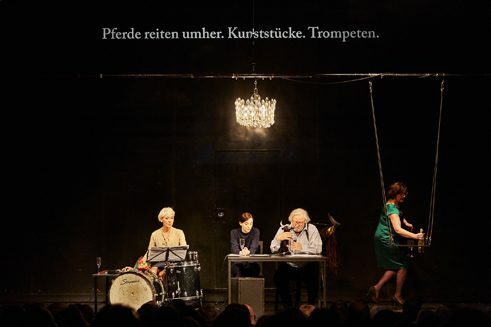 In the 1970s at the Schaubühne am Halleschen Ufer in Berlin, for instance, Peter Stein used to let sentences explain themselves, with long, stretched vowels and accents. Brecht, on the other hand, already liked when you could hear an actor’s dialect; not the full dialect, but enough so that you could tell the region of Germany he or she came from. Have you also performed in East Germany? After the Wende in the early 1990s, I was the second actor from the West who performed in the East, at the Maxim Gorki Theater in Berlin. My colleagues stood there in the aisles and looked at what I could do, if I had the same techniques as they did, but I’ve never acted in that way. They were quite disappointed. On the other hand, Tragelehn, with whom I’ve worked the most, was curious about Western actors’ ways of working and speaking. As for me, I’ve always liked when an actor’s performance is very spare, but then one-hundred per cent. Almost no gestures – I like that best. I’m no fan of virtuosity; I find it good when someone works with very reduced means but then pushes it very far. What do you think about the debate on the concepts of actor-driven theatre and performance? Actor-driven theatre and performance have become battle-cries. What some people now understand under the idea of the art of acting is self-stultifying. How should you act? What are the categories? What is actor-driven theatre anyway? I try to involve the audience in the conflicts and not to act in a psychological or empathetic manner. If people make the wrong demands, that’s just stupid. A character emerges in any case if an actor with a vivid imagination plays him or her. Do you miss dramatic texts? Yes, sometimes. I like the language of Heinrich von Kleist very much, think Heiner Müller and Tragelehn’s Shakespeare translations are great. If I have a bad text, I act badly. But apparently there’s no writer at present who could describe how things are and has a language for it. We’d certainly fall all over anyone who did. What is changing just now in ensemble theatre? Here at the Munich Kammerspiele it’s a special situation. The ensemble isn’t any longer the absolute centre as it used to be. The space for it has become narrower and now there are also the independent groups. In the ensemble, this has led to some uncertainty. There are two balls in play and that’s sometimes confusing. „Den größten Blumenstrauß der Welt“ at the "Lange Nacht der neuen Dramatik" at Münchner Kammerspiele with Jelena Kuljic, Zeynep Bozbay, Peter Brombacher, Annette Paulmann | © Judith Buss You can’t simply go on as before, saying you make good theatre with a good team. That doesn’t work. Our society is too fragmented and insecure for that. Groups like the Rimini Protokoll, She She Pop and Gob Squad have gained influence maybe because they have antennae that pick up things the municipal theatres no longer or not yet do. This is something that brings theatre further. Peter Brombacher was born in Freiburg in 1941. He attended the Westphalian School of Acting in Bochum and had his first engagement at the Bochum Schauspielhaus. 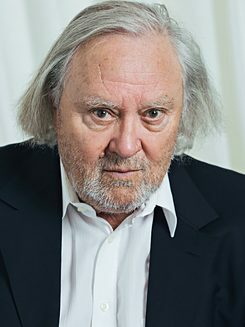 Since then he has worked at many theatres and with many directors, including Claus Peymann in Stuttgart, Frank Baumbauer at the Munich Residenztheater and the Deutsches Schauspielhaus in Hamburg, Christoph Marthaler in Zürich and Baumbauer and Johan Simons at the Munich Kammerspiele, at the last of which he is still a member of the ensemble under the artistic director Matthias Lilienthal. He has worked with direcors such as Jürgen Flimm, Christof Nel, Wilfried Minks, Christoph Schlingensief, Stephan Kimmig and Stefan Pucher. Of particular importance for him was his long-standing collaboration with the East German director B. K. Tragelehn. Silvia Stammen lives in Munich and is a freelance theatre critic who writes for various publications, including the journal “Theater heute” and the “NZZ”. From 2005 to 2007, she was a member of the selection committee for the Mülheim Plays. Copyright: Text: Goethe-Institut, Silvia Stammen. This work is licensed under a Creative Commons Attribution – Share Alike 3.0 Germany license.